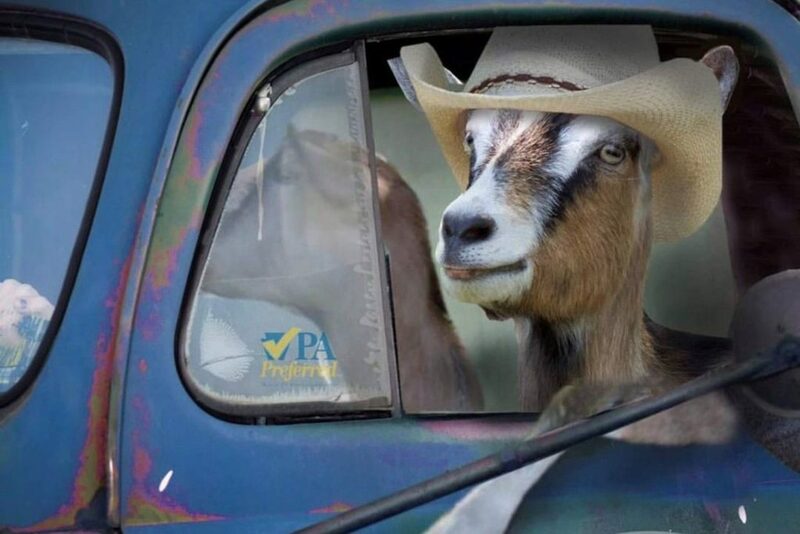 The Philadelphia Inquirer (October 31, 2018) – The cheese rodeo has arrived — and it’s driven by goats. At least that’s how India Loevner saw it, living with husband Steve among a growing herd of fuzzy mischief-makers on her 130-acre farm just north of Pittsburgh, trying to master the controlled chaos of making cheese. Is there a more perfect name for it all than Goat Rodeo Farm? Yes, the cleverness factor will sell itself. But in just a little over three years, Goat Rodeo has proved to be a rising star on the national cheese scene for the quality of its products, too, winning multiple top awards from the American Cheese Society as well as first-place finishes in the Pennsylvania Farm Show. Lucky for us, they’ve begun appearing in Philadelphia this year, and I’ve been impressed by the range of what Loevner produces. They’re primarily made of milk sourced from Loevner’s herd of 150 Nubian and Alpine goats, which apparently love to devour old Christmas trees whole, though cow’s milk from a friend’s herd of Holsteins nearby also makes its way into some varieties, including the semi-firm young alpine snacker called More Cowbell. Cowboy Coffee, a blend of cow and goat milk, is one of my absolute favorites, because, although this firm cheddar-like wheel is aged for six months in an edible rind rubbed with ground espresso, its flavor is far more complex and subtle than expected, with more of a smoky note from the coffee than a caffeinated buzz, providing a roasty depth. Among the goat-only cheeses, Goat Rodeo’s fresh chèvre is one of the smoothest I’ve tasted, bright and lemony without being too gamy. Chickabiddy is a textbook Valencay-style beauty, a six-ounce bloomy-rind pyramid that reveals three textures when it’s ripe, with a nice creamy halo beneath that velvety skin ringing a dense fudgy heart. The Hootenanny is an acclaimed goat Gouda I found bland. But I could eat Bamboozle all day, a semisoft four-pound loaf washed in beer from Roundabout Brewery in Pittsburgh that adds a tacky orange funk to the rind. It’s vaguely reminiscent of a mild-mannered Chimay. But it’s so good. Slice it, crack open your own beer, and devour. The rodeo’s in town. Goat Rodeo Farm cheeses are available at a number of stores, including Metropolitan Bakery (262 S. 19th St.), which sells Chickabiddy for $22 a pound and 6-ounce cups of fresh chèvre for $8.75; Talula’s Daily (208 W. Washington Sq. ), which sells Cowboy Coffee and Hootenanny for $24 a pound; Whole Foods Markets, which sell Bamboozle and others for $19.99 a pound. Primal Supply (1538 E. Passyunk Ave.) also carries Goat Rodeo Farm cheeses.